If you're like me, you're always looking for a new book to read. For me, when I read, I want to have something with a little bit of substance (ie. doesn't turn my mind to mush) but doesn't cross the line into "OMG this is giving me a headache" territory. Not to mention, I like a book where its about a subject I actually care about. 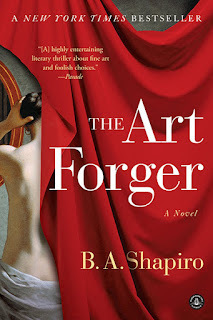 With that, The Art Forger by BA Sharpiro seemed to fit the bill. Now I don't have an art history background nor do I paint, but OMG this book interested me. There was plenty to learn from this novel. 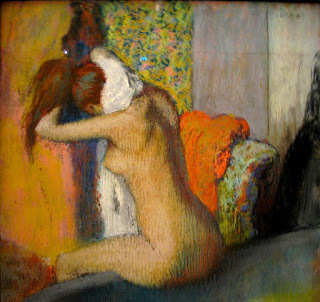 Shapiro gave us a history lesson on Edgar Degas, the famous art heist of the Gardner Museum in Boston and on Isabella Gardner herself. She also spent time describing the time consuming process of traditional oil painting dry on dry (which I had no idea about!) She even went into how paintings are authenticated. All very interesting. I found none of that giving me a headache. But what I really found interesting is how the novel depicts this love/hate relationship an artist has with the need to be accepted by the public. So many times, while reading, I thought OMG Claire is so insecure and weak. I would NEVER be that weak. But would I? When creating art its such a personal thing and you're doing it to communicate the ideas inside you. If the viewer is not receiving those messages, than why create? Also, being an artist is a lifelong journey which may or may not bring you fortune and fame. Or it might but you might be dead by then. Does that reflect on how good an artist you really are? To answer my above question though, I don't think I would have ever made a lot of the decisions that Claire made - even when I was 30 and not looking at 50. But I can easily identify the angst you feel about putting your art out there and wanting it to be well received. Also it was a nice reminder, on how fickle the so-called "experts" really art in the art world. Laughable so. The mystery of the book was a nice vehicle to keep the novel moving but what I found totally engaging was the journey of Claire the artist. So many times I could feel myself crying for her, routing for her, cringing for her. At one time, I thought, OMG this girl needs a mother who will tell her some truths in life and art. Even by the end of the novel I still thought - wow - Claire has got a lot to learn. 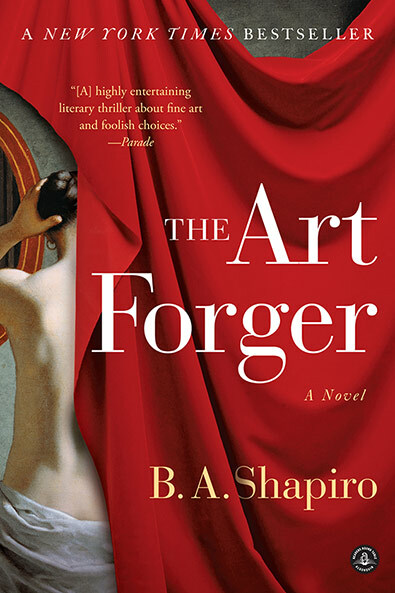 So if you feel like a good art oriented read, pick up Shapiro's Art Forger. This is one that I can totally see me reading again! So what have been up to creatively? Thanks for the recommendation. I've put it on my audio wish list. Thanks for telling us about the book. It sounds like something that I would like. Og wonderful! Thanks for the recomendation. I am just finishing up an Alice Hoffman novel. This is exactly what I like! Hi, Nina Marie. I wish I could get ahold of that book! Sounds so good. But, I have to confess that although I have taught literature in a couple of languages, I haven't been reading much lately--I'd rather be stitching! Ordered it, Kindle, thanks for the tip,, looks interesting. Link Up Your Creative Space!! Grab a Button for your blog! How would Sherlock Holmes design a quilt? ©2019 Nina-Marie Sayre. All rights reserved. 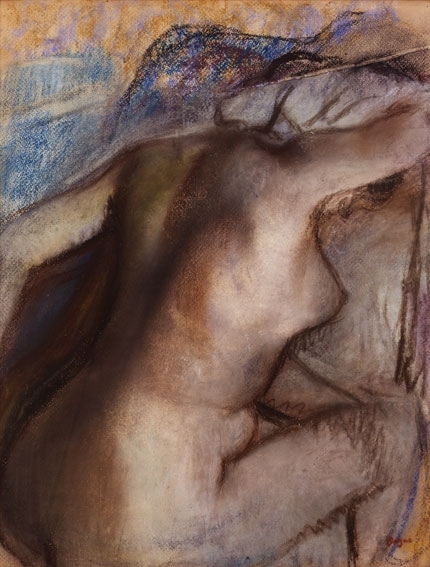 Images of Nina-Marie's work and text may not be reproduced, manipulated or used in any way without Nina-Marie's written permission. Please feel free to "pin" any image to pinterest but give proper credit and back to the original source.